This new, tri-power stereomicroscope is ideal for elementary, middle, and high school grade levels. This microscope offers three magnifications in one. One smooth knob adjustment changes the magnification 10x, 20x, or 40x. 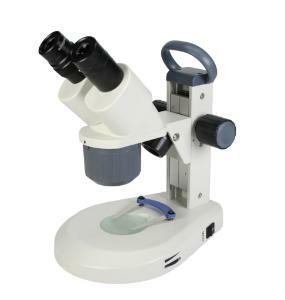 Ordering information: This microscope includes vinyl dust cover, rubber eye shields, and a three-year limited warranty.